When an individual, business or other entity runs into financial distress the first inclination is often to find ways to reduce expenses. Unfortunately for many, the means they choose to reduce their expenses is by failing to file or pay taxes. While this option may seemingly offer short-term relief, it is rarely advantageous in the long run. Typically a decision like this will create new tax problems due to a tax audit or exacerbate already existing tax compliance issues. While some attempt to justify their failure to comply with their US tax obligations, in many instances these explanations are unconvincing or may result in unintended consequences or other collateral problems. The belief that that, “The IRS won’t go after me because they are only worried about people with more money and assets than I do” is not only inaccurate, it may also be interpreted to indicate a willful disregard for tax obligations. 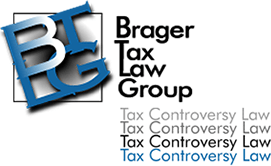 The Brager Tax Law Group can analyze your tax problems and can provide reliable advice to correct your compliance issues. To arrange for a private consultation, call our tax attorneys at (800) 380-TAX LITIGATOR today. The IRS has Contacted me About Missing Tax Returns. What Should I do? If the IRS has contacted you about missing tax returns, you may already be in a difficult situation. If you did file the taxes, paid your full obligation, and can provide the IRS with documentation, then it is likely that your problem can be corrected relatively quickly. However, if you failed to file taxes for one or more of the years that the IRS investigator is inquiring into, the situation is fraught with legal and financial peril. If you state that you did file the taxes when you know that you did not, you have, at minimum, provided false information regarding a tax return. However, the catch is if you admit to failing to file your taxes to the IRS agent, you have then admitted to a violation of the IRS Tax Code. Thus, it would appear that regardless of the answer you provide, you can expect additional tax problems that could include a prison sentence as well as significant fines and penalties beyond the tax which is owed. An experienced tax law attorney can provide advice which may permit additional time to develop a legal strategy to resolve your tax problems. In this instance, it would generally be considered acceptable and prudent to tell the IRS agent that you would be willing to discuss the matter, but based on the seriousness of the matter you must first have the opportunity to review your records. The IRS is typically willing to grant an extension of 60 to 90 days. This time can be used to analyze your financial records and tax information, and to prepare an appropriate legal strategy going forward. What Consequences can I Face for a Failure-to-File Taxes? 26 USC §7203 provides that an individual’s failure to file a tax return is a misdemeanor punishable by up to 1 year of imprisonment and, in addition to the tax owed, additional fines and penalties. However, under 26 USC §7203 the IRS must show that the failure-to-file was willful. For IRS purposes, willful behavior is typically defined as an act or acts which constitute a “voluntary, intentional violation of a known legal duty.” It is important to note that willful blindness, where an individual takes steps to avoid learning his or her obligations, is not a justifiable defense for a failure-to-file penalty. The voluntary disclosure programs established by the IRS may offer a non-compliant taxpayer a way to correct tax problems. However, if you are already under investigation, you do not qualify for programs of this type. Therefore, it can be advantageous to get out in front of tax problems before some or all of your legal solutions have been foreclosed merely due to a lack of diligence. Consult with an experienced tax lawyer before speaking to IRS agents or taking action on your tax issues. To discuss your concerns with one of the Brager Tax Law Group’s experienced Beverly Hills tax attorneys. Call us at (800) 380-TAX LITIGATOR or contact us online today.